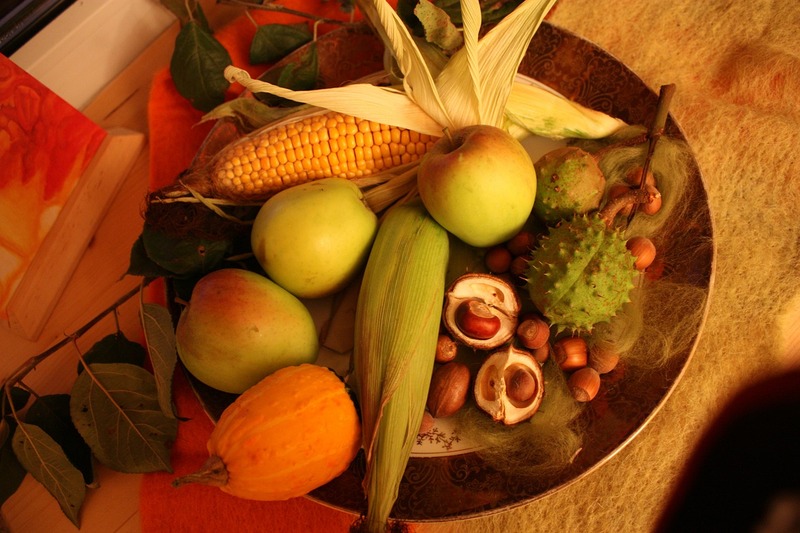 Enjoy a happy and healthy holiday! William Palin is a 32-year-old lawyer who passed the bar exam in 2013. But it didn’t take him long to wonder why, when the rest of the world is increasingly conducting business on cellphones and tablets, the legal profession is so tied to paper, desktop computers, and e-mailed Microsoft Word documents. So as a child of the digital age, he decided to act, joining a growing group of young, tech-savvy lawyers dedicated to developing technology to deliver legal services more efficiently. Palin taught himself how to write code for mobile applications. He built two apps to speed up how lawyers work with each other and their clients. And in December he’s launching a Boston-Cambridge branch of a nationwide group called Legal Hackers, young lawyers focused on creating and adopting technological tools. While many attorneys see mobile technology as a way to better serve existing clients and recruit new ones, the partners at major law firms play a big role in how aggressively the law business will adapt. And those established practitioners may be leery of adopting some new technologies for fear that will lead to breaches of confidentiality. After three decades, does Zauderer need updating? One of the Supreme Court’s free speech cases that still divides judges deeply on its meaning — the 1985 ruling in Zauderer v. Office of Disciplinary Counsel — may need some updating. A highly unusual order issued Tuesday by a federal appeals court — granting rehearing of a decision that has already been overruled — suggests that the Justices probably need to reopen Zauderer and the question of the government’s power to order someone to disclose information that the public may need or find useful. They may soon get the chance.Zauderer was a First Amendment case about requiring private attorneys to tell their clients that they might have to pay some added costs if they lost their case. On Tuesday, a three-judge panel of the U.S. Court of Appeals for the District of Columbia Circuit agreed to reconsider a case about requiring U.S. businesses to disclose whether they are selling products that may exploit the human misery of the civil war in the Congo. Both Zauderer and the D.C. Circuit case — National Association of Manufacturers v. SEC (Circuit docket 13-5252) — deal with the core question of when the government may compel someone to speak or write. And both focus on whether it violates the First Amendment for a government to require someone to disclose something of public interest in their public commercial messages. For months, the D.C. Circuit has been puzzling over whether the rational basis test should be used to judge compelled disclosure of information only when the government is seeking to prevent “deception of consumers,” or when the government has other policy objectives in mind, and thus whether the government must meet a more rigorous test. And the court of appeals has been uncertain about what kind of information required to be disclosed is “purely factual and uncontroversial,” in the words of the Zauderer opinion. Those are the issues that the D.C. Circuit panel will be dealing with when it reconsiders the NAM v. SEC case, when new briefs are filed on those questions within coming weeks. The three-judge panel granted rehearing at the request of the SEC and of Amnesty International, an advocacy group that has been taking part in the case as an intervenor. But there is more to the story than NAM v. SEC. In late July, the en banc D.C. Circuit, in a nine-to-two decision in the case of American Meat Institute v. U.S. Department of Agriculture (Circuit docket 13-5281), sought to declare the definitive word on the scope of the Zauderer decision. The American Meat Institute decision, in fact, could be appealed to the Supreme Court; the time for filing a petition for review runs out in late January. 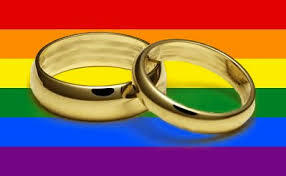 But in the meantime, that ruling has pronounced the law for the D.C. Circuit, where many challenges to government programs are heard and decided. The ruling upheld the Agriculture Department’s requirement, first imposed in 2009, that companies selling meat products had to label them to show the country of origin. After the World Trade Organization found that the requirement violated an international agreement not to impose barriers to trade, finding that the regulation was imprecise, the Agriculture Department in 2013 revised it to list each country in which any part of the meat production process had occurred. The American Meat Institute, a trade group of meat packers, joined with livestock producers and feedlot operators in challenging the regulation in federal court. A three-judge panel of the D.C. Circuit upheld the disclosure requirement, but said it had doubts about where circuit precedent stood on the meaning of the Zauderer decision, so it urged en banc review — that is, by the full D.C. Circuit bench. The majority of the en banc court found that the 1985 precedent meant that rational basis was the test for judging government requirements for compelled statements in public commercial statements, and that the test reached such requirements beyond the circumstance of preventing deception of consumers. Before that decision had come down, a three-judge D.C. Circuit panel had ruled in April in the NAM v. SEC case. Here is the background on that case: In 2010, Congress passed — as part of the Dodd-Frank bill to reform Wall Street and provide broader consumer protection — a requirement that the SEC issue regulations to require disclosure by U.S. businesses of information about whether their products included ingredients that had been developed as a byproduct of the armed fighting that has plagued the Republic of the Congo for the past fifteen years. Congress understood that groups fighting in that conflict were financing their operations by trading in several minerals produced in the primitive mines in the eastern Congo — gold, tin, tungsten, and tantalum. Those extracted minerals are said to be sold by the fighting groups, smelted, and then shipped abroad. Ultimately, the minerals show up in the U.S. in various consumer items, such as cellphones, computers, power tools, and golf clubs. Using the power given to it by Congress, the SEC issued rules that require companies making products that might include such ingredients to investigate whether, in fact, those had come out of the Congo — that is, whether the ingredients were “conflict materials,” as the SEC put it. Such a company must disclose publicly whether its products did include such materials, and declare whether those materials were “conflict free.” It must let the SEC know whether it has used such materials. The NAM, a trade group of U.S. manufacturers, challenged the SEC rule in federal court. In its ruling in April, the three-judge panel struck down the disclosure part of the regulation, finding it to be compelled disclosure that violated the First Amendment. It applied a more rigorous analysis of the regulation, concluding that the Zauderer opinion’s use of the “rational basis” test was confined to compelled disclosures that are designed to prevent consumer deception. That, the panel concluded, violates the First Amendment. Both the SEC and Amnesty International sought reconsideration of that ruling, but their pleas were kept on hold while the en banc D.C. Circuit was considering the American Meat Institute case on the similar First Amendment challenge to compelled disclosure. The full D.C. Circuit explicitly overruled the panel decision in the NAM case, along with other D.C. Circuit precedents that had interpreted the Zauderer precedent in the same way that the NAM panel had. First, what effect did the en banc American Meat Institute decision have on the SEC’s Congo minerals disclosure regulations? Second, what did the Supreme Court mean in Zauderer when it referred to “purely factual and uncontroversial information” that the government could require to be disclosed? Third, is the determination of what is “uncontroversial information” a question of fact? The panel gave no timetable for its ruling on rehearing, other than the briefing schedule. In the meantime, however, the American Meat Institute case could be on its way to the Supreme Court — which, of course, could have the last word on what the Zauderer ruling now means. Executive Director Joseph Dunn was fired and executive oversight of the State Bar is now in the hands of State Bar President Craig Holden and Deputy Executive Director Robert Hawley on an interim basis (Recorder article). Today, Sen. Dunn (ret.) filed a whistleblower lawsuit in Los Angeles Superior Court, alleging that his firing came just days after Dunn contributed to an anonymous complaint of “serious ethical breaches, prosecutorial lapses, and fiscal improprieties by State Bar President Craig Holden, [Board of Trustees] members, and Chief Trial Counsel… ” Read the complaint on BloombergLaw (log-in required). Read preliminary news coverage here. While we are still awaiting results of the July 2014 California bar exam (due for release November 21, 2014), results from other states have been pouring in over the last several weeks and the numbers don’t look good. Passage rates are down by double digits in 4 states and by more than 5% in an additional 13. 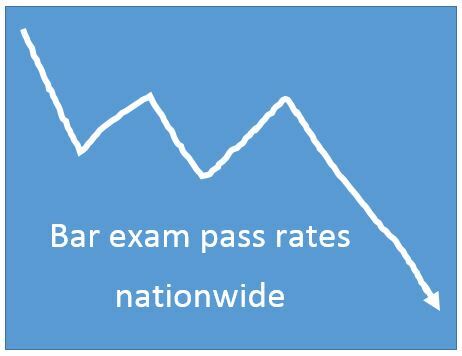 A Pepperdine law professor has examined a few of the possible causes, but the National Conference of Bar Examiners (NCBE) places the blame (PDF) squarely on poor bar taker performance. Throw back a fish, go to federal prison?!? The US Supreme court heard oral arguments today in Yates v. United States. 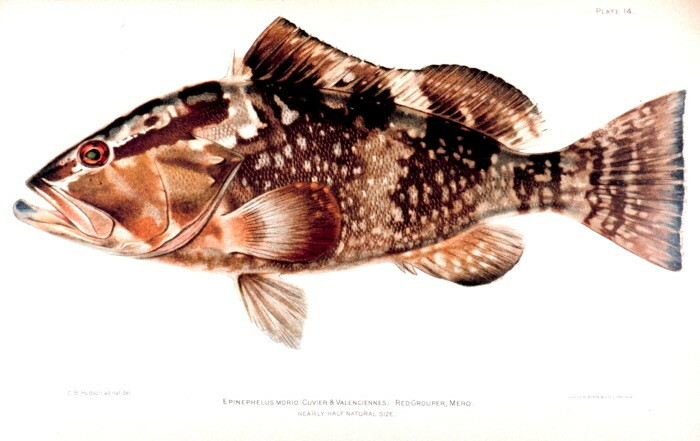 At issue in the case is whether a fisherman who throws undersized grouper back into the sea to avoid civil penalties has committed a crime under a Sarbanes-Oxley provision that prohibits knowingly concealing, altering, or destroy “any record, document, or tangible object” with the intent to impede a federal investigation. It seems our own Professor Kevin Cole was equally incredulous about the government’s prosecution of this case. He was one of 18 law professors who submitted an amicus brief (PDF in the case).